*In the middle of this page, you will find a lot of PDF files. The first PDF is the booklet in English　(「英語本文」). The second PDF is the questionnaires in English (「英語予診票」). 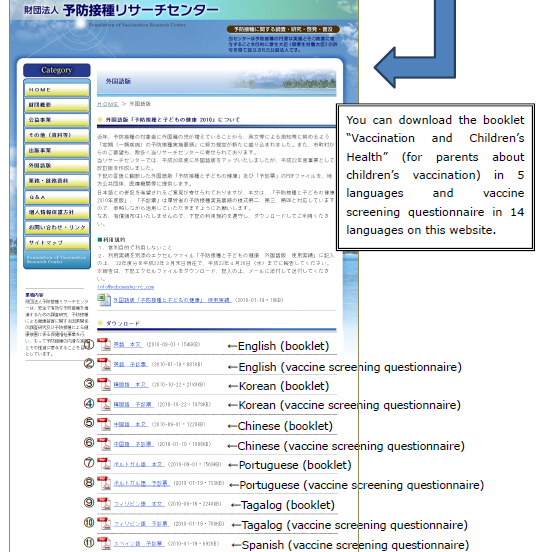 Also you can download the said booklet in four other languages and the vaccine screening questionnaire in 13 other languages on this website. Please find your language from the following PDF.